That seemed to be the consensus when we first broke the news to our kids of moving to South Africa, followed shortly after by the news that we’d enrolled them in a South African school instead of the American International one (Noisette was sold on the day we toured Dainfern College and the kids there all greeted him with “good afternoon, sir”). The hangup over school uniforms was resolved within two days. It’s a very powerful thing to have everyone else dressed the same way as you. You’d probably rather wear a clown costume or your pajamas, if that in fact was what all the other kids were wearing, than show up in your designer jeans and Ugg boots and be the only one. Not that any of our kids ever got Ugg boots. But the language issue was a lot more persistent. Because who has ever heard of Afrikaans and Zulu? And we’re lucky that we were moving to Joburg, because in the Eastern Cape or some such place it might have been Xhosa instead of Zulu. And that “x”, let me tell you, is something else. To say “Xhosa,” try clicking your tongue way in the back of your throat, and then say the “osa” part right afterwards, without pause. Yes? I’ll wait while you practice… No, that was pathetic. Keep trying! Because South Africa has eleven official languages, which ones you get to take in school depends on where you live and which of those languages are predominantly spoken there. For us here it’s Afrikaans and Zulu up to grade six, and then you choose one of them to take for the rest of your school career. I won’t say any names, but there are still some in our family who think Afrikaans and Zulu are not worth studying for. Especially Afrikaans, for some reason, doesn’t get a lot of love. Because those naysayers are WRONG, and let me tell you why: It has been proven over and over that learning more than one language (it helps tremendously when you start at birth but any language study helps) affects your academic performance in a positive way. First off you become a better reader, and everyone knows that reading is tied to future success. But not just your performance in languages improves. You also get better in math, mental flexibility, and problem solving in general. I know all this because I once wrote about Raising Bilingual Children in an article for Kansas City Parent Magazine. A similar article recently in the New York Times, Why Bilinguals Are Smarter, described the same phenomenon. The way I see it, WHICH language you learn almost makes no difference. What makes a difference is that you become immersed in a language, learn to love it, understand its little quirks and the culture behind it. Sure, it would be of huge benefit for our children to be fluent in Spanish, but let’s face it, whatever passed for Spanish class back in the U.S. was never going to get them there. They knew more Afrikaans and Zulu after the first six weeks in South Africa than the Spanish accumulated over their entire previous school careers. Nothing gets you going in a new language like people around you speaking it, with pride, or performing a skit in assembly in that language, or having to sing the National Anthem in five languages every week. If you’re going to embark on learning a new language, you might as well pick Afrikaans. It’s got to be the easiest language in the world. That’s because they took the Dutch spoken by most of the Boer settlers together with the sprinkling of other languages that had encroached on their dialect, and made an official language out of it, sometime in the mid-1800s. A very simplified version of Dutch resembling, as our Dutch visitors have assured us, a bunch of Kindergarten kids speaking it. Or rather perhaps a foreigner trying to make himself understood. From what I gather the spelling has been simplified to make it more phonetic and the grammar is also very bare-bones, doing away with such bothersome things as different tenses (I have a feeling my Afrikaans-speaking readers will object). 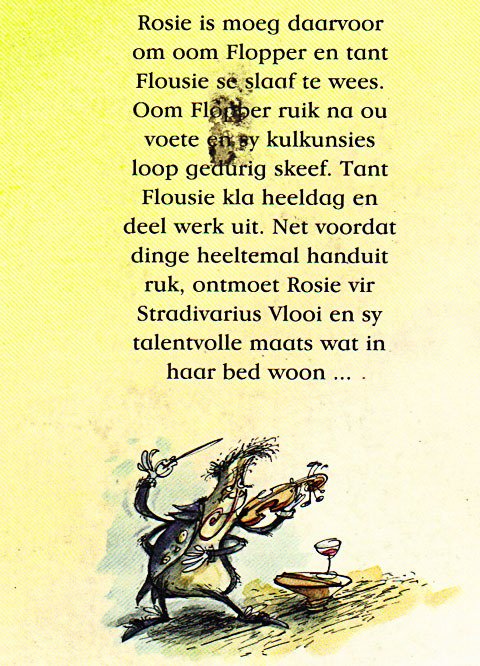 The most endearing aspect of Afrikaans, in my mind, is that it has THE best words for stuff. Nowhere else will you find more ways to call someone an idiot or talk about beating up a person. Which is why so many Afrikanerisms have morphed into South African English. No one will find it strange if you tell them you are babbelas because you are a domkop (someone who is dof) and got too pissed last night and now need to smoke some dagga to recuperate, which should make you feel totally lekker except it’s your first time and you actually feel like kak. Afrikaans might not be the most sophisticated, but, if we are to believe the experts, learning Afrikaans will make you smarter. And you will have a lot of fun with it. 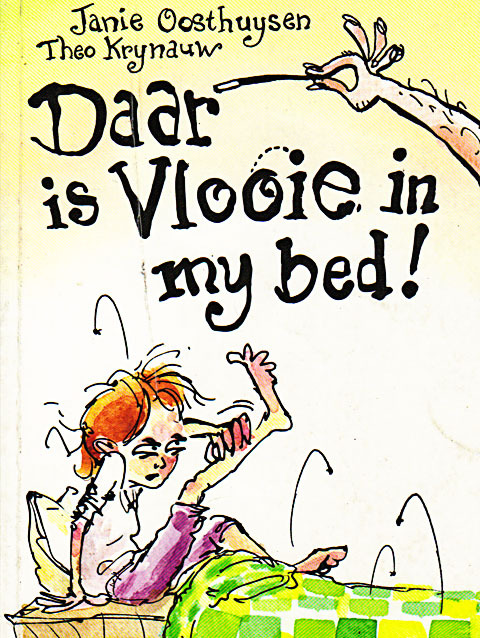 Note: This came in after I wrote this post, but I just had to add the word for 1999 in Afrikaans (or at least what Impatience thought it was when the girls were doing their Afrikaans homework yesterday): Negentien nege en negentig. I’ve been saying it all morning, clearing my throat many times over in the process. Previous PostPrevious Are South African Schools Behind?